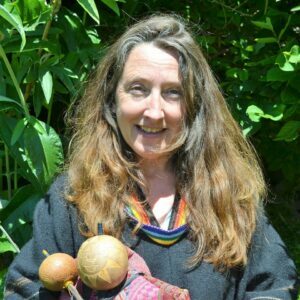 Kate is a Shamanic Practitioner with 25 years’ experience in body work, spiritual healing, energy medicine and Shamanic Healing. Energised by natural spirituality, Kate offers highly focused Shamanic Healing treatments. She looks in depth at your presenting issues and then treats accordingly. This can involve illumination, removal of heavy energy, soul retrieval, karmic and ancestral unbinding amongst many other energetic techniques. Kate is also a celebrant offering Shamanic Rites of Passage Ceremony for life changes, and Despacho offering our gratitude for life transitions such as birth, marriage, death, relationships, naming ceremonies, new ventures in life both personal and professional. When we come into right relationship with all that is the rest flows. A dynamic approach to meditation using breath work, gentle exercises, journeying and tools for cleansing and empowering the energy body and centring and grounding. Suitable for anyone interested in this form of self care. Find a deeper connection to the energies of nature and add another dimension to your practice be it yoga, meditation, prayer…this work is underpinned by a deeply reverential Andian tradition which has never lost touch with nature and whose cosmology embraces all forms of spirituality with love.